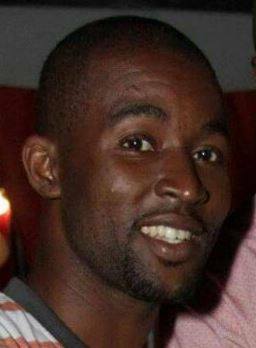 St.John’s , Antigua (August 12th 2015):- On the heels of a Fatal Shooting in Swetes, Antigua , critical investigative leads have since pointed to a Swetes suspect who is now wanted, immediately, by the police. Shawnoy “Moon” Anthony of Swetes, believed to be in his early 30’s, is being asked by police to turn himself in, without procrastination or hesitancy, in connection to the fatal shooting. Based on acute intelligence received, Anthony is believed to have fired the fatal shot at Kezron “Virus” Meade, age 31 years, who was gunned down just outside of his Swetes residence on the night of Tuesday, 11th August, 2015. The suspect is described to be approximately 5 feet – 7 inches in height, fair in complexion and weighs about 170lbs. He is flagged to be armed and dangerous. Law Enforcement Officials are also pleading to relatives, friends or any member of the general public who may be knowledgeable of his whereabouts, to immediately contact the nearest police station or call CRIME STOPPERS HOTLINE at 800-Tips (8477) to report this information. The Commissioner of Police (ag) further urges Shawnoy “Moon” Anthony turn himself in to police, soonest, without delay.